Christianity has reached a distant planet, and our heroes’ faith will be tested in the gathering storm. Khomar’s innate ability to block all empathic attacks had cracked open the doors to the Elvensty Academy, despite his being half Auxule. But it was his secret gift, one he could barely control, that would send him into the Wylds of Dalmain with Aya, a Jyrye girl he barely knew. With the Crossing of the two suns about to unleash the bitter winds of winter, Khomar is charged with leading Aya to safety while being pursued by rogue empaths. As questions surrounding Aya are answered, they will find their faith in God pushed to the limit as their lives are irrevocably changed. 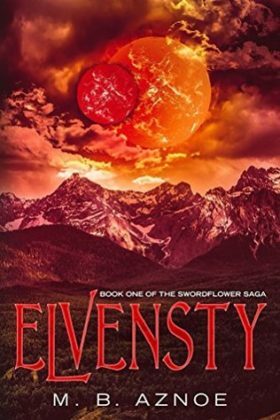 Book 1 of the Swordflower Saga series.